Make the clear choice for your smile. Invisalign clear braces are removable and virtually invisible, adapting to the modern person’s lifestyle. Invisalign straightens teeth by using a series of clear, plastic aligners that are custom-made specifically for your teeth. You will progress through each aligner every two weeks to gradually move teeth over time. See more about our free consultations. 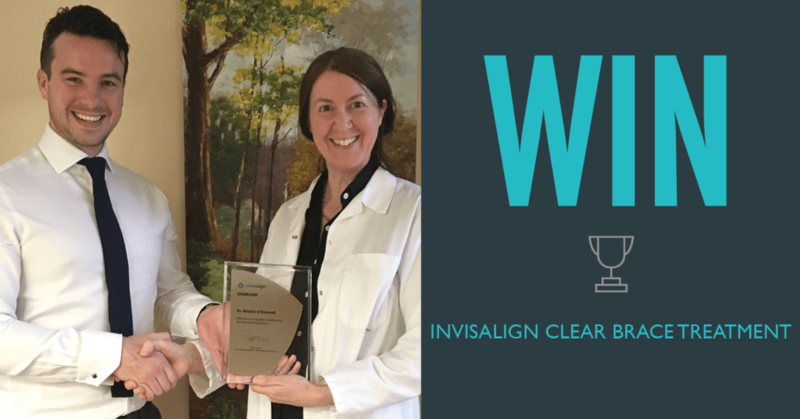 In celebration of Dr. Máirlín’s new Invisalign Platinum Elite status, we are giving one lucky individual free Invisalign clear brace treatment! Click to enter to win. If you would like more information on Invisalign clear braces go to our brace types page!